The essence of the problem with the Easter Vigil reform is that it was built on a series of fantasies, the first one being the inappropriateness of lighting the Easter fire and candle because the sun is shining. Alas, this was no joke: the framers of Maxima Redemptionis were perfectly serious in stipulating that the Vigil must be held in the dark on pain of losing its “innate clarity” and even its sanctifying power. 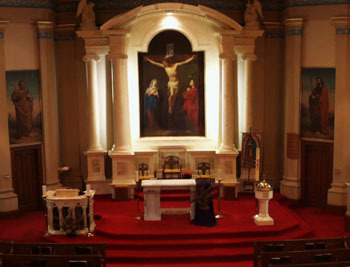 There could hardly have been a clearer description of two positions developing alongside each other in the Church: On the one hand the bi-millennial liturgy of the Catholic Church inspired by the Holy Ghost, and on the other hand a rapidly increasing parallel universe, of very recent origin, populated by the members of the Liturgical Movement in self-declared opposition. It is obvious that by 1955 the Liturgical Movement had overreached itself in trying to upstage the Holy Ghost and, as a result of its hubris, had turned itself into a coercive ideology. It would not be long before efforts would be redoubled against Bishops who were trying to hold the traditional line: They would feel the “iron fist” of Msgr. Montini shorn of Pius XII’s velvet glove. 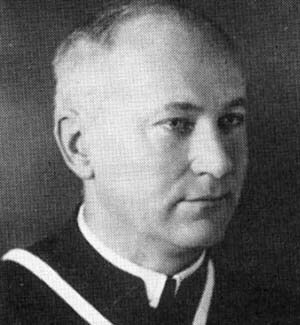 Maxima Redemptionis thus resulted in enforced surrender and a victory for Bugnini and his Liturgical Commission. The injustice lies in the fact that here was a Commission with a highly radical and ideological concept of its role in the Church, pressuring Pius XII to make rulings which would be harmful to the interests and values of Catholic Tradition. In fact, the whole issue of the night time celebration of the Easter Vigil can now be seen as a giant red herring that was forced down the throats of the world’s Bishops by Pius XII at the behest of the reformers who had other, more revolutionary cards up their sleeves. These claims were specious in the extreme and did not stand up to scrutiny. We will deal with each of them in turn. They were based on reports sent to the Holy See by the world’s Bishops and heads of religious congregations in response to an international survey, the purpose of which was to garner opinion on the 1951 experimental Easter Vigil reforms. But by then, the Liturgical Movement had succeeded in spreading its influence throughout most of the Catholic world, with the result that there were some Bishops in almost every country who welcomed a break with tradition. This was very different from having a worldwide consensus. By ignoring this distinction, those who wrote Maxima Redemptionis were led to read too much into the data by interpreting random variation as representative of the general opinion among the Bishops. 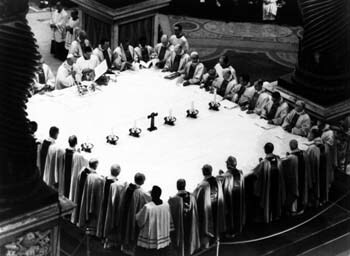 The pro-reform Bishops were reported to have “generously praised the restored rite, told of the spiritual fruits derived from it, and asked that the permission to celebrate it be further extended.” (2) Well, they would, of course, considering that they had been putting pressure on Pius XII for precisely those reforms. (3) We can infer that the predicted outcome of the survey was a certainty for the reformers who had the Pope’s ear. Thus the international survey gave liturgical cranks, dissidents and radicals everywhere the opportunity to indulge their favorite pastime with permission from the Holy See. But even more unethical was the cynical use of the unsuspecting faithful: They were the guinea pigs for the full-blown Holy Week changes that would be foisted on them a few years down the line. But what about those Bishops who sent in negative reports or who protested vehemently? Or those who declined to comment? No indication was given as to their number, which we know must have been considerable from the available evidence. In some countries, the experimental Vigil was not adopted by the majority, for example in the United States where it was very much the exception. (5) However, the tradition-minded Bishops were accorded no recognition or consideration: Their views were trivialized and dismissed with a wave of the hand (6) and certainly were not allowed to make any impact on Maxima Redemptionis. They had become the equivalent of Orwell’s “unpersons,” (7) found guilty of the “thought-crime” of opposing the Bugnini project. As far as Maxima Redemptionis was concerned, it was as if they did not exist. And ever since then, they have been denied a voice in the Church, their marginalization being used to create a false consensus. 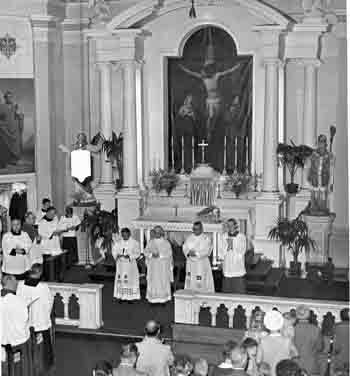 Pius XII ordered that the same Commission of liturgists that had prepared the rite of the 1951 Vigil should analyze the reports. (8) As there was no independent review of their work, the outcome was predetermined in favor of the Commission members who performed their task in the predictably biased manner we have seen above. The general principle of the survey seemed to be that the conclusion came first and the data were cherry picked to support and “explain” the desired result, i.e., the world’s Bishops were in favor of the renewed Easter Vigil. This process, more commonly known as “spin” or skewing the facts to fit a prejudice, raises the gravest possible doubts about the integrity of the Commission’s work. It was obvious from the moment of Bugnini’s appointment as head of the Commission – if not before – that nothing or no-one, not even the Pope, must get in the way of the projected reforms. That is why Bugnini relied on bias, official manipulation of the statistics and suppression of inconvenient facts. De Facultativa Celebratione Instauratatae Vigiliae Paschalis, Sacred Congregation of Rites, 11 January 1952 Acta Apotolicae Sedis, p. 49. On 2 November 1950, the Bishops of Germany, France and Austria formally petitioned Pius XII to move the celebration of Holy Saturday to the evening. Their request was accepted and an experimental Vigil was inaugurated on 9 February 1951. With this concession from the Holy See, the Liturgical Movement was officially engaged in liturgical reform. “Liturgical Briefs,” Worship, 26, n. 7, 1951-1952, p. 374. This progressivist magazine, successor to Orate Fratres and organ of the Liturgical Movement in the USA, registered its disappointment at the lack of enthusiasm for the experimental Vigil among most Bishops. In George Orwell’s Nineteen Eighty-Four, an “unperson” is someone who has been “vaporized.” It commonly refers to a public figure, especially in a totalitarian country, who, for political or ideological reasons, is not recognized or mentioned in government publications or records or in the news media. De Facultativa Celebratione Instauratatae Vigiliae Paschalis, AAS, p. 49: “Sanctissimus autem Dominus Noster Pius Papa XII mandavit, ut peculiaris illa virorum peritorum Commissio, quae vigiliae paschalis ritum paraverat, praefatas relationes accurato examini subiceret.” (Our most holy Lord Pope Pius XII ordered that the same special Commission of experts who had prepared the rite of the Pascal Vigil should carefully examine the aforementioned reports.) Pius XII would, as always, follow their recommendations.